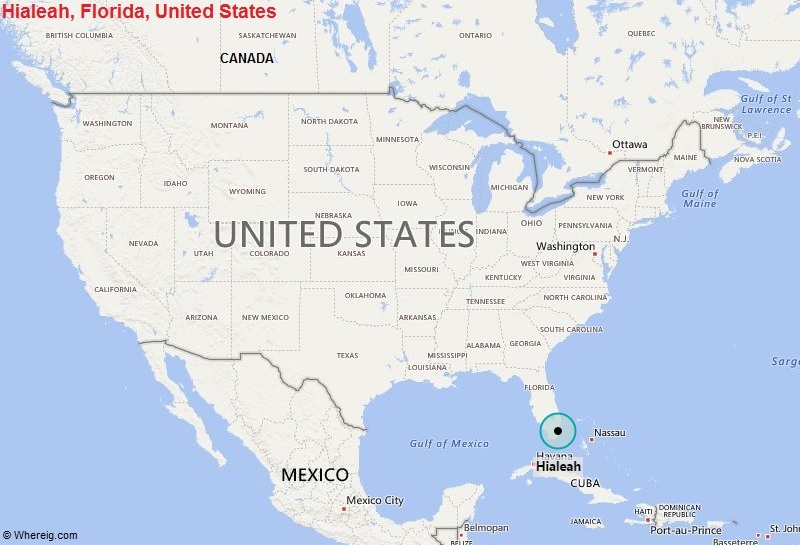 About Map: Map showing the Location of Hialeah, Florida in the US. Hialeah is a city in Miami-Dade County, Florida, United States. Hialeah is the sixth-largest city in the state and tenth-largest city in the United States by population.